Looking for a new property? Trust a REALTOR® with a consistent track record to find you the home or investment property of your dreams. Browse through all Grande Prairie & Area real estate. Create your own custom searches with a click of a button. Or simply send us a message with the property you are interested in and we will get back to you right away. Are you selling? Call it. 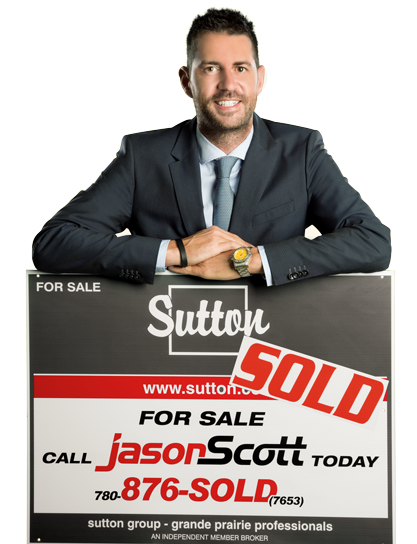 Jason Scott 780-876-SOLD! 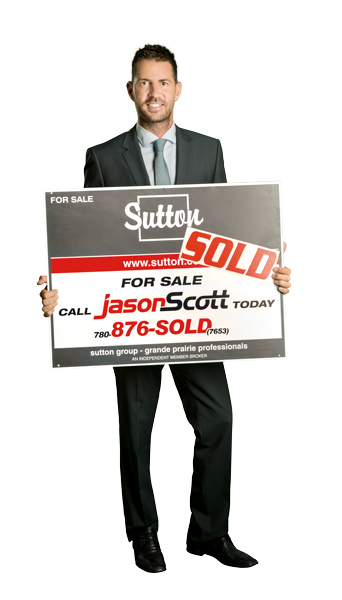 As Grande Prairie’s most successful negotiator closing over 5000+ real estate transactions, Jason Scott prepares durable contracts for successful closings. He is always in touch with the progress of your transaction and on top of every detail. Constantly in contact, buyers and sellers are informed about the process, making buying or selling a stress-free, enjoyable process. Jason listens carefully to your lists of priorities and does comprehensive research to find the right property to fulfill their needs and desired lifestyles. Jason is a family man and is highly in tune with the Grande Prairie communities and markets. He has hosted seminars on investing in real estate and enjoys what he does. I specialize in helping people buy and sell residential homes. An extensive knowledge of the marketplace combined with a commitment to service will enable me to help you make the best decision for your future! Many buyers tell me they don’t want to “waste my time”. Instead, let me help you not waste yours! As the most active Realtor® in Grande Prairie, I know the market and what is available. Selling over 4500+ homes in the past 19 years, I have gathered the most extensive knowledge of the Grande Prairie and area market. I put this experience to work to benefit you. The best property, Best location, Best price. Once you tell me what you want I’ll take you to the short list! Understanding my client’s needs is what has made me Grande Prairie’s #1 Realtor for the last 19 years in a row. I will advise you through the whole buying process; from deciding what type of home you want, to finding it, assisting with financing, legal, inspection, appraisals and everything in between. Work with Jason when you are selling. To sellers I offer a total service commitment by aggressively marketing your property. I don’t “List and Forget”. Following through on listings is what made me Grande Prairie’s most successful Real Estate Agent for the last 11 years! I will provide the most accurate market evaluation in the industry and tell you the truth about the value of your home the 1st time. I promise you complete dedication in protecting your interests throughout the process of buying or selling your property. Find out if you qualify for Jason Scott’s “Sold in 90 Days or We Buy It” program. No obligation. Free evaluation on your home or rental property. Need help selling your residential or commercial property or buying your next home? Jason Scott is Grande Prairie’s Real Estate Expert here to offer you resources to help sell your home fast for TOP dollar or buy your next property with some great tips in mind to get the most value for your money. New Daytona Home being pressure tested for EnerGuide rating enabling buyers to get rebates on CMHC premiums.